In the contemporary style, photos are attached beneath a mat with linen texture with no edge hardware or border. It has a sleeker feel than the traditional but still a very substantial presence. The pages and book spine are strongly squared, for a crisper, more modern feel. This album is the Gallery, made by Seldex in Australia. 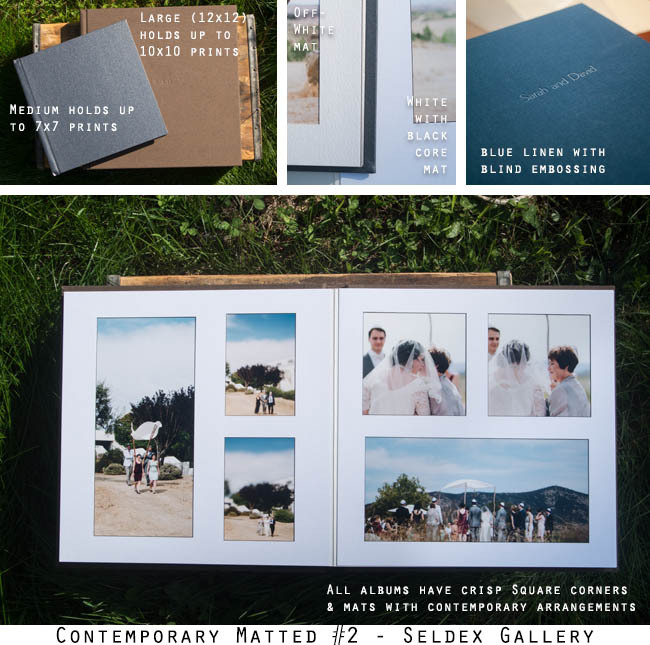 See also the Ambiance contemporary matted album. Maximum size: comes in 10, 20 or 30 pages only.